I am still thinking about my son's compost pile that he's supposed to do for scouts and haven't done much about it, I'm still wondering what to do, where to put it, and such. It would help me emensly if people here could share pics of their piles, that would at least give me a starting point and make me more confident. I haven't set up an account with a Photo site to post pics but I'll give you a brief description of my compost piles. I have 3 of them with 2 enclosed on 3 sides with discarded wooden pallets I got from a local lumber yard and 1 free standing. I secured the corners with long screws to hold them together. It can be done in minutes with a drill and 3 inch screws since this is very basic and not like building a cabinet. To the piles I add stable waste comprised of horse manure, hay and wood shavings. I also add any wood shavings I accumulate in my shop to the pile, but not treated stuff. To this, I add grass clippings, kitchen and garden vegetable waste, coffee grounds, tea bags, shredded paperwork and leaves. When I have it, I'll add shrimp peels and heads along with the occasional fish bones, guts and heads. The last 2 I'll bury deep in the pile. The piles are in an area where they receive about 10-12 hrs. sun a day and I will keep it moist and turn it every week or so to help mix things up and aid in speeding up the process. This is my home made design which could be made from scrap lumber and could be made in custom sizes. Mine is just over a 4 foot cube. Compost piles can be contained in something as simple as a hoop of medium mesh wire such as hardware cloth or any wire with small enough openings and heavy enough gauge to stay rigid and upright. 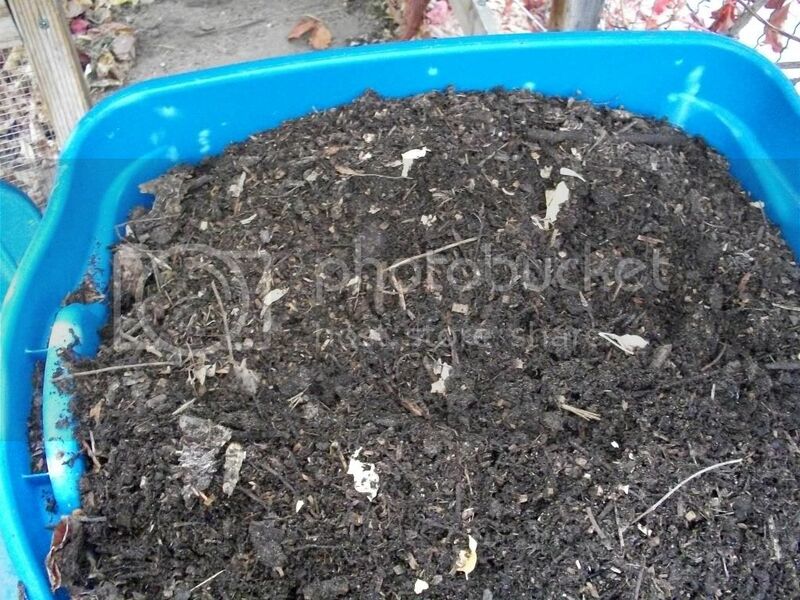 Small scale compost arrangement could be made from two plastic trash cans, where the compost is placed in one container and then dumped into the other to churn and to mix with air. The cans would have to have drainage holes and air holes placed in the bottoms and sides however. 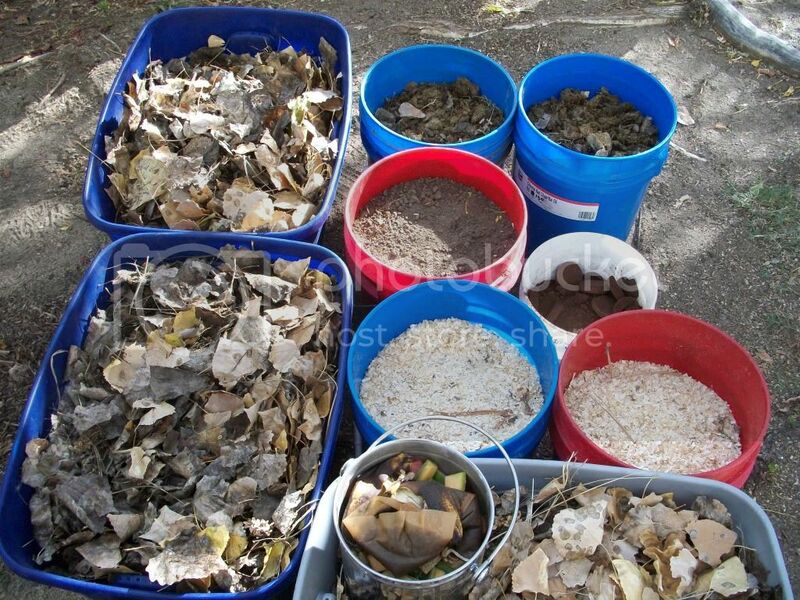 just google "compost pile" and go to images, youll get thousands and thousands of compost pile photos. does anybody have a problem with rodents stealing the stuff. I started just a simple pile, throwing kitchen and yard scraps and anything else I had on the pile but after a while I realized that the pile wasn't getting any bigger and nothing was decomposing so I figured out that something was taking everything, I am sure it's one of the abundant mice or squirrels that I have seen or even possibly rats that I haven't seen but I'm sure is there. You're sure *nothing* was decomposing? Even if that were the case, it does compress somewhat from the weight of new stuff added on top, so it will get smaller. If I have critters I can usually tell because they leave evidence laying about. Half eaten stuff they pulled out and abandoned. Yes, I do have small rodents (mice, shrews, etc) that get into my compost pile. The wire grid is small enough that larger animals including squirrels can't get into it. As tox noted, I know when this is happening, because the edible stuff in the pile is dragged out and strewn around a bit and lots is still left behind. I don't worry about it, because I still get plenty of compost, so I figure I can afford to share. Also as tox noted, your pile could just be shrinking. I have a 3x3x3' cube and I have trouble keeping it full. Every time I fill it up with stuff, I come back a few days later and it is no more than 2/3 full. That is the stuff compacting and breaking down. I'll try to get a picture sometime, but it doesn't look like much. The wire bin doesn't show up very well in photos, so it just looks like a pile of leaves. I wish we had leaves here, I will have to go looking for some at curb sides in the fall. there were things moved around from the pile but at the time I didn't pay too much attention to it. the thing was is that I was just throwing things in a pile I didn't have anything around it to contain it. [quote="annastasia76"]I wish we had leaves here, I will have to go looking for some at curb sides in the fall. Annastasia, keep an eye out for landscapers in your area. The commercial landscapers bag their cuttings and leaves and that is how I get some for my compost piles. They were cutting and using a lawn vacuum to pick up the clippings and leaves at a local cemetery a couple months ago and I scored 12 large bags of material for my compost piles simply for the asking. They are more than happy to let you have all you want since it saves them the time and effort to dispose of it. 3 Bins for ease of turning and having one with finished compost (doesn't last long) or ready for fresh ingredients. I added the 3rd bin later and it has proven it's worth very quickly. The sides are simple planks ripped in half and t posts used where needed on the ends. The "gate" is a piece of a futon that was no longer needed. This was shot in the fall and the leaves are just a 4-6 inch covering. 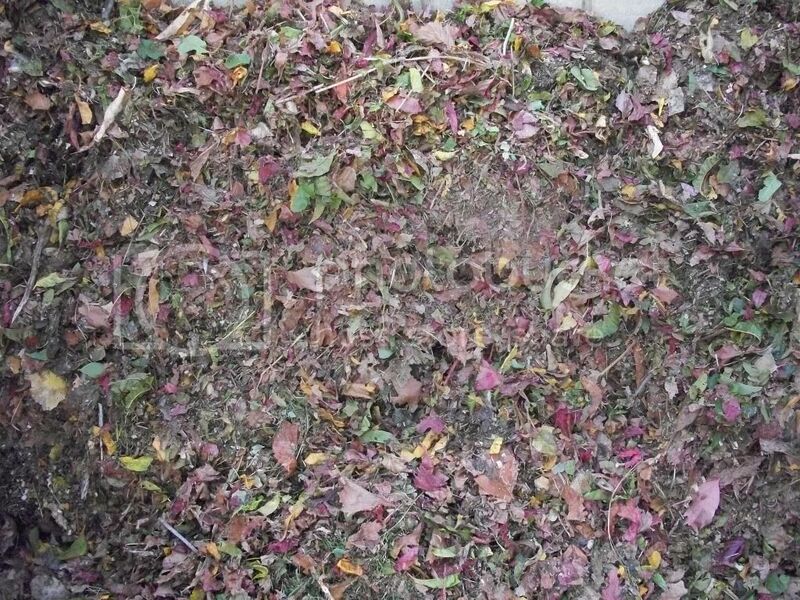 The center pile was nearly finished at the time and the pile on the left was fresh grass, leaves, garden waste, and chipped branches. Last fall I brought home a dozen yard waste bags of leaves that people had set out at the curb. I use them until I run out in spring or summer and then buy a bale of straw to use until fall leaves come back. rainbowgardener wrote: Last fall I brought home a dozen yard waste bags of leaves that people had set out at the curb. I use them until I run out in spring or summer and then buy a bale of straw to use until fall leaves come back. I went with the pallet system for the volume of compost I needed for all the soil amending. 10 raised beds later I think I can down size to a tumbler. I like the design of the trashcan tumbler by ninelives - reposted by rainbowgardener in "my compost plan".